In conjunction with Smrgol, the Hudson Fur mailing list administrator, and domain owner, Puma at www.catbox.com who hosts this site and mailing list. 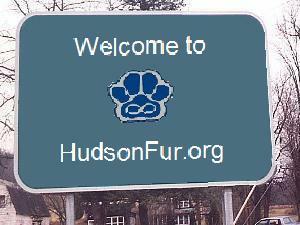 We bring you hudsonfur.org! 6/12/05 Hi all, Smrgol here - I've cleaned up a few odds and ends and dropped some dead links etc. I'm not too good with HTML, so let me know if something's broken OK? Hopefully Red will be back at some point to help. 6/18/09 Hmm… Four years without much change. I have “disconnected” the member’s page for now until I can get it updated. Right now I’m looking for a new webmaster so that we can get this page back to what it should be. Copyright ©2009 Hudson Fur. All right reserved.